When it comes to delivering food right to your door these days, there is a myriad of food delivery options. Times sure have changed as a few decades back there were only a handful of restaurants that delivered to your home. The businesses that did deliver were the staple restaurants that you could count on getting it to you hot and fresh out of the oven. Today there are a hundred or so restaurants in Phoenix, AZ that are frantically trying to get your business. We can’t help but wonder why that is. Streets of New York opened its first pizza restaurant in 1976 at 32nd St and Cactus Rd. Right off the bat, we offered pizza delivery service. Thinking back in 1976 this was something that was unique, however more common among pizza restaurants.In today’s world, we have become a society of instant gratification. With life racing at the blink of an eye having restaurants that deliver to our homes isn’t just a choice anymore, instead, it’s an opportunity to slow things down a bit and of course, enjoy a meal that only requires a phone call or tap on your phone. No standing in line at the grocery store after a long, hard day at work, no cooking and best of all the only cleanup required is adding your pizza box to your recyclables. Let’s, however, remember that along with all these new companies and services who are fighting to earn your business, Streets of New York has been there delivering your favorites since 1976. The beautiful thing about our delivery is that we don’t charge markup as our standard delivery fee is only $3.00. Can the other companies say that? We don’t think so. When it comes to pizza delivery, our opinion on why it’s so common is based on the fact that pizza is an easy item to deliver. It comes in a self-contained box with little chance of spillage or mess and it also has excellent heat retention. The convenience of Streets of New York pizza delivery is something many families have enjoyed countless times, and we don’t plan on stopping anytime soon. Did you know that we deliver more than pizza? Why yes we do, we will deliver anything off of our menu of tasty treats and Italian food options. Pizza delivery has come a long way baby! In the past, delivery drivers would just grab the pizza box and head to their cars. With the invention of pizza delivery bags that help retain that fresh out of the oven heat, some bags even have heated plates inside of them. Pizza delivery has undoubtedly stepped up its game, and there’s no messing around anymore. Streets of New York is one of the restaurants that arms its pizza delivery drivers with heated bags to ensure a hot pizza upon arrival. However, we must admit, next day cold pizza leftovers are the bomb!! When choosing a delivery service, why go with one of the new kids on the block?Choose the experienced delivery crew at Streets of New York to deliver your food, hot and fresh! We’ve been providing pizza delivery in the valley since 1976, and we are not planning on stopping any time soon. We put our pizza trust in our delivery service because they know that you don’t mess around with anyone’s pizza. 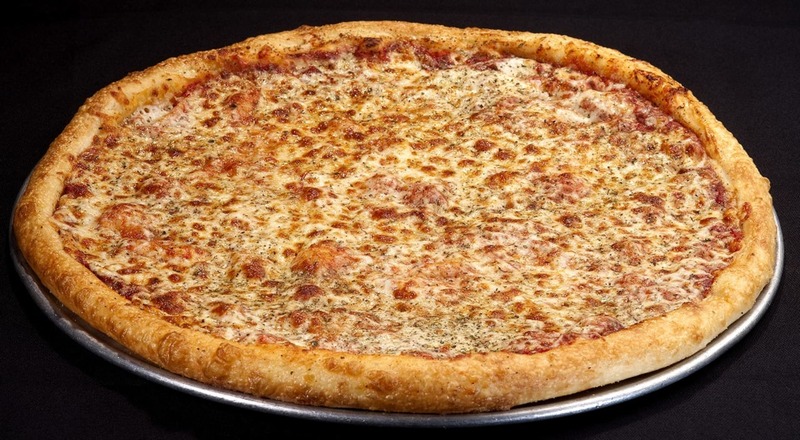 Don’t just take our word for it, check out our 23 convenient Streets of New York locations in Phoenix and surrounding areas to find the location nearest to you and experience firsthand pizza delivery done right.